Understanding the reasons behind and the uses of conducting an asset search is simple. Most of the time, an asset search that is conducted by a Riverside County licensed investigator to satisfy due diligence, collect debts owed, hire employees, authenticate financial documents during child support or divorce proceedings, or even to resolve personal injury cases. 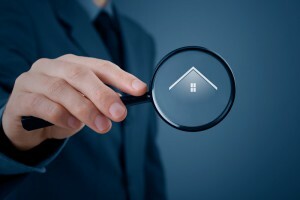 In short, an asset search provided by a Riverside County licensed investigator will uncover any value and/or liability as it is related to a piece of property. Depending on the facts surrounding the case, each asset investigation will be completed differently. However, a Riverside County licensed investigator will always focus on putting together the pieces of the puzzle so you don’t have to do it on your own. A basic background check is typically provided, and more detailed financial checks or surveillance are common as well. Put simply, during a routine asset investigation it is determined exactly what kinds of valuable assets a person or entity has, and it is then discovered just how likely you will be to recover your losses in court. While the internet is replete with websites claiming to provide citizens with the best information on an individual or business, only a Riverside County licensed investigator can find the facts. An asset search can help you to determine whether or not an asset it secure, providing you with protection prior to doing business. It also helps to find justice when you are owed money. But without the help of a Riverside County licensed investigator, it may be impossible to find all the information needed to do any of this. Only a Riverside County licensed investigator has the right and ability to determine whether an individual or business is providing false information. Fictitious names, hidden assets, numerous judgments, negative track records, and/or fraud can be discovered this way. The information gathered using the help of a Riverside County licensed investigator can assist you in court, and can help you to proceed with your day-to-day business as you see fit. For more information on asset investigations, or to hire a Riverside County licensed investigator immediately, call (951) 344-6306. We provide you with a free initial consultation and price quote for our services.